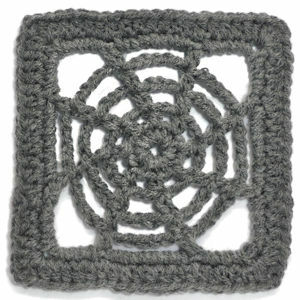 Cluster Diamonds Square -- $1.99 A Crochet pattern from Julie A Bolduc. 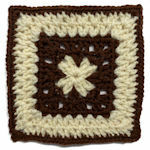 This square is made up of a bunch of cluster stitches which are arranged in a way to form diamonds. If you look carefully, you can see them. 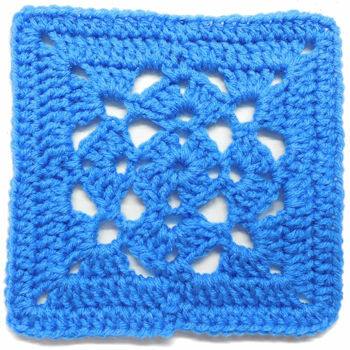 Imagine this square made up into an afghan of just this design. It would be beautiful and warm! 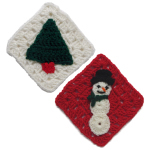 It is only 5½"x5½" so you may want to work a row of hdc around the edges to make it 6"x6" if you need it to be that size for an exchange.